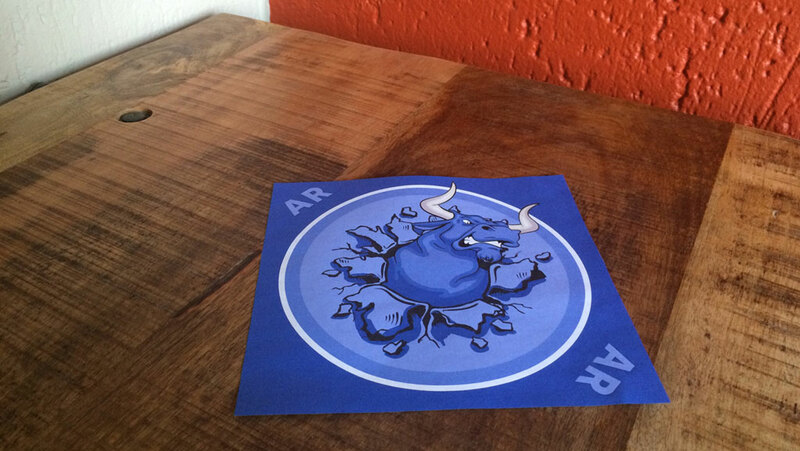 This concept prototype was developed to showcase the use of Augmented Reality in a competition environment. 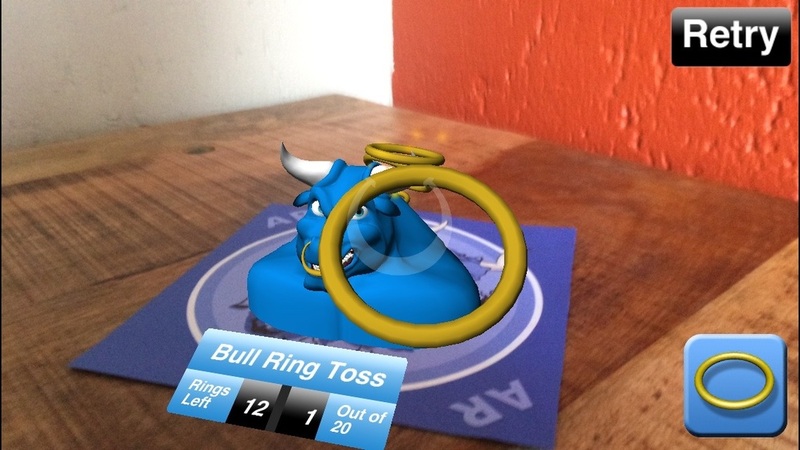 The idea here, is that consumers would download the app, scan a marker (brochure or product packaging), and throw as many rings as possible onto the bulls horns. A minimum of 8 rings must successfully land on the horns in order to gain an entry into the draw. 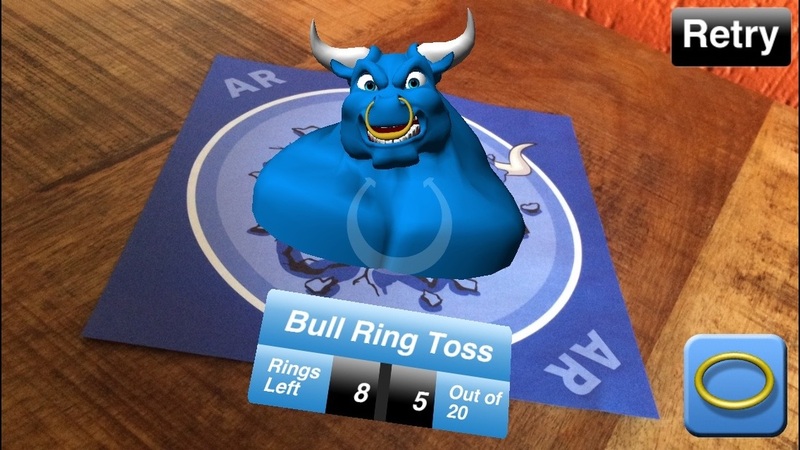 The gameplay is simple, however, it will not be easy to launch rings onto an angry,snorting, bucking bull. This experience is likely to encourage consumers to play the game more than once due to it's fun gameplay and "WOW!" factor. It's also highly likely that a consumer would recommend/show/share this experience with their friends and family, which would be great for a viral awareness campaign. Adding a Facebook leaderboard could encourage further interaction with the app, as players try to outrank each other. A prize could also be given out to the highest scorer at the end of the campaign.